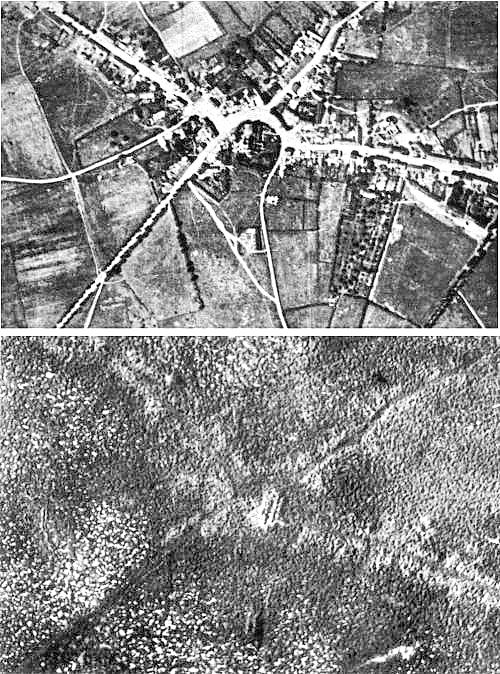 Aerial view of Passchendaele village before and after the battle. In 1593, anti-Jewish riots erupted in Bucharest, Romania, costing many Jewish lives, Hy”d. Harav Tzvi Bochtinsch was the son of Harav Yaakov Yitzchak. Rav Tzvi was a renowned talmid chacham, and was especially known for his expertise in the halachos of shechitah and the more intricate halachos of bedikos and nikkur. It was said that he was the foremost expert in his time on these halachos. Rav Tzvi wrote the sefer Shechitos v’Bedikos Maharatz, an impressive work that was very well received and accepted by all the major poskim. Mahari Weill, zt”l, in his own work on these halachos, often quotes Rav Tzvi and his rulings. Rav Tzvi served as the leading shochet in Cracow in the times of the Rema, and he also had many talmidim who learned from his expertise. One of his talmidim, Harav Yaakov Shorzina, from Kostelitz, attested that Rav Tzvi once had a halachic dispute with the Rema, and the Rema agreed to his ruling in the end, showing how highly his opinion was thought of by the leading poskim of his time. Rav Tzvi was niftar on 28 Cheshvan 5353/1592. In 1860, Abraham Lincoln was elected the 16th president of the United States. In 1861, Confederate President Jefferson Davis was elected to a six-year term of office. In 1917, in World War I, the Battle of Passchendaele ended. After three months of fierce fighting, Canadian forces took Passchendaele in Belgium. In 1923, Jacob Schick was granted a patent for the electric shaver. In 1944, plutonium was first produced at the Hanford Atomic Facility and was subsequently used in the American atomic bombs that were being developed during World War II. In 1965, the Freedom Flights program, which allowed 250,000 Cubans to come to the United States by 1971, began. In 1975, King Hassan II of Morocco launched the Green March, a mass migration of 300,000 unarmed Moroccans into the nation of Western Sahara. In 1984, for the first time in 193 years, the New York Stock Exchange remained open during a presidential election day. In 1995, funeral services were held for assassinated Israeli Prime Minister Yitzchak Rabin.